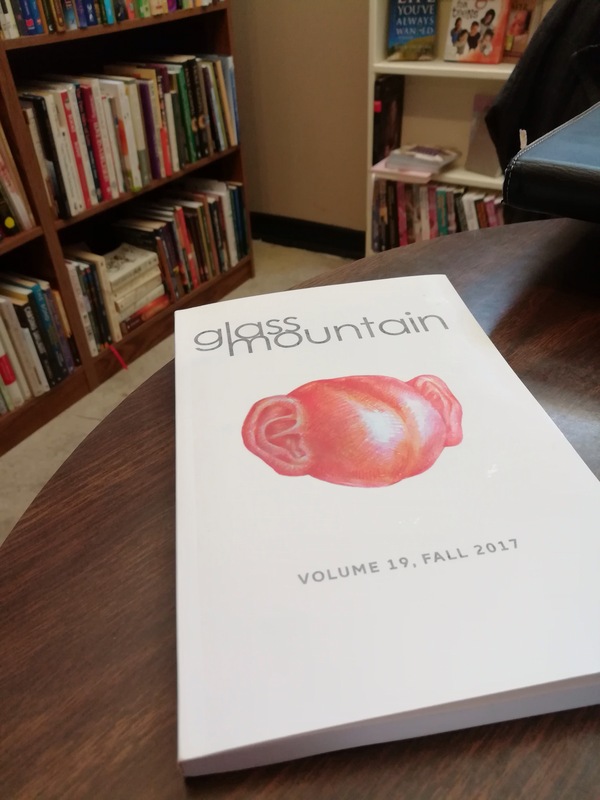 Really, this is late news, but last fall a poem of mine was selected to fill the pages of Glass Mountain, “a literary journal edited by undergraduate students at the University of Houston” and “dedicated to showcasing the works from undergraduate and emerging artists.” This, of course, is a humble achievement (I wasn’t exactly published in The New Yorker), but I am extremely grateful for the consideration and encouragement that at least something of mine was halfway decent. I continue to write, polish, and submit poetry (I actually just joined a critique group in my area) and hope to share more in the future. I also am working on a novel. Many people know how important reading and writing are to me but very seldom get to see any of the fruit of my constant labor. So here’s something. This is perhaps one of the “heavier” poems I have written, but from the perspective of a teacher, I wanted to capture the tension between the ephemeral and eternal. The question, “What redeems the time?” is an allusion to T.S. Eliot’s poetry. What Is Your Sacred Pathway? Was this meant for us? We miss you mr. Caleb! Hi Gabriela! 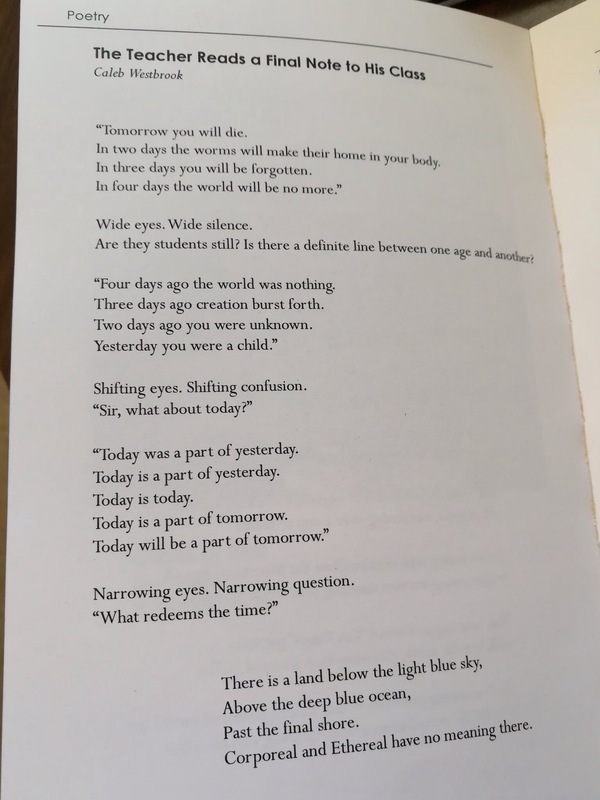 The poem was meant generally–a teacher trying to remind their students how short life is. However, I wrote this when I was teaching you all and definitely had you in mind. I miss you all and wish you the best!